Google announces the Second-generation Android One program with India's Lava Pixel V1. Hardware improved, still on tight budget! The second-generation Android One series of smartphones kicked-off in India yesterday with the Lava Pixel V1. All the while we knew that the handset would be another listing off the first generation of Android One, but we were wrong. The device comes with improved hardware that increments on a very tight price standpoint. So what does the new breed of Android One has to offer? Will it come to the Philippines? We have reserved the answers to those questions right after the fold. 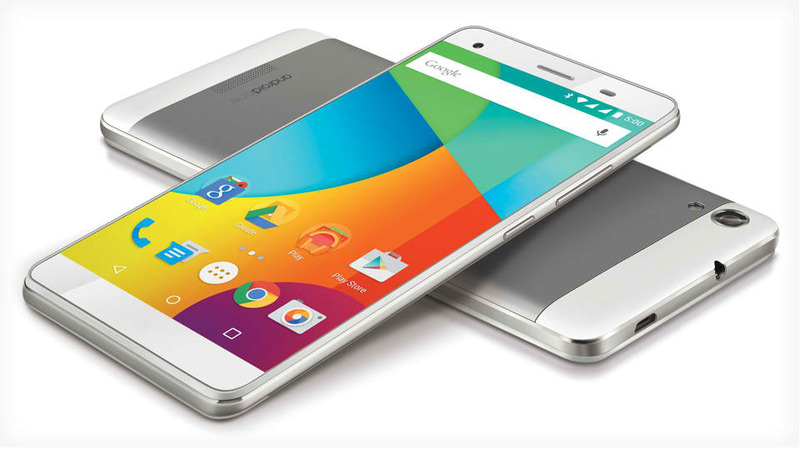 The Lava Pixel V1 Android One smartphone hits the phablet category with its 5.5-inch display. The display panel is treated with an anti-scratch Asahi Dragontrail protection. The new model doubles the RAM at 2GB; however, the CPU still ticks with four cores at 1.3GHz each. We are looking into a MediaTek MT6582 chipset with, of course, 500 MHz of Mali-400 MP2 GPU. Across the board, the generous 32GB of native storage is expandable up to 32GB via microSD card. This 135-gram device gets its juice from the 2650 mAh Li-Po battery that could support up to 20 hours of 2G talk time or 12 hours in 3G. As far as the camera goes, the Lava Pixel V1’s rear camera is only rated 8MP; however, it has the capability of capturing 13MP images. The f/2.0 lens will also be reinforced by the LED flash, if the situation demands. It’s still the same story when it comes to the front-facing camera with f/2.4 lens; sensor is rated 5MP with 8MP capturing capability. The Lava Pixel V1 wouldn’t be an Android One handset if not for the latest stock Android version (5.1.1 Lollipop) that comes out of the box. Likewise, Google also promises atleast 2 years of support in terms of software updates. The handset comes with an asking price of USD 177, roughly Php 7800 as of today’s conversion. Second-generation Android One to hit the Philippines? Will second-generation Android One come to the Philippines? There’s a high possibility that it will due to the fact that we are one of targeted smartphone markets of this program. If we are to include history, Cherry Mobile and MyPhone might be brewing something on their sleeves as of this writing; however, we are looking forward for more brands joining the bandwagon like O+ and Starmobile. In the meantime, check out the Lava Pixel V1 specs below.